I long…to take refuge in the shelter of your wings. One of the most encouraging metaphors for divine love is that of finding shelter under the protection of God’s wings. 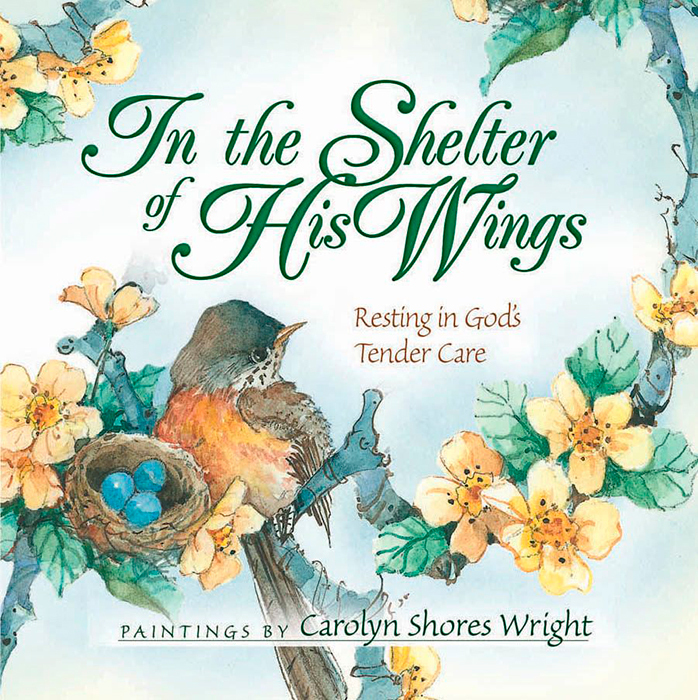 On every page of this uplifting gift book, the gentle artwork of Carolyn Shores Wright tenderly reminds readers that God cares not only for the birds of the air but so much more for His children. 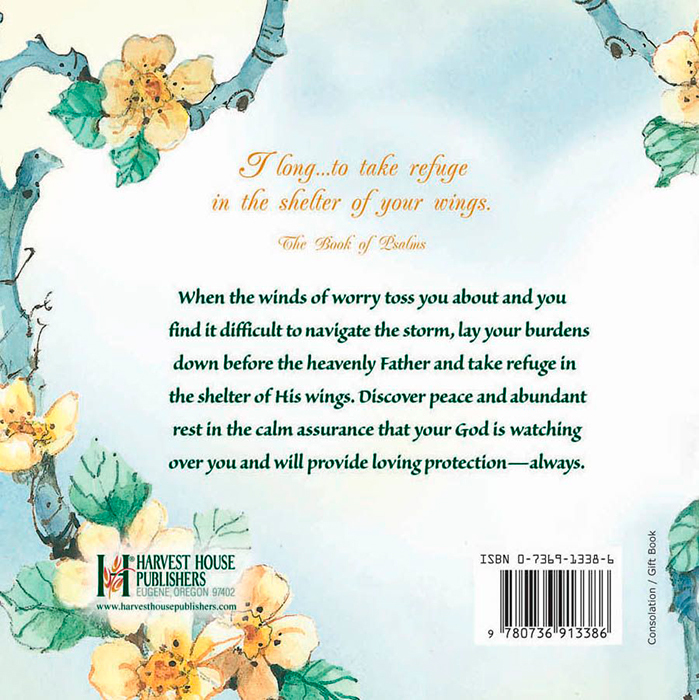 Loving quotations, reassuring Scripture, and calming prose thoughtfully express the message that God longs to show compassion and care, rest and refuge to those who are hurting. A comforting gift for anyone experiencing illness or suffering a recent loss in their lives.